In addition to this, bear is a symbol of wisdom for the Lakota Sioux, spirit keeper for the Chippewa and introspection and strength. 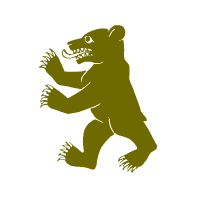 The bear has been associated with ferocity, diplomacy and healing powers. The Haida associate bear to an elder kinsman and when killed it is believed to be a high ranking guest. Many believe that as a wise creature, it gains wisdom through its winter incubation and it bears a symbol of maternal protection. It is still seen as a great warrior and the male is associated with King Arthur, it symbolizes great power under control, with claws significantly displayed on crests or on shields.